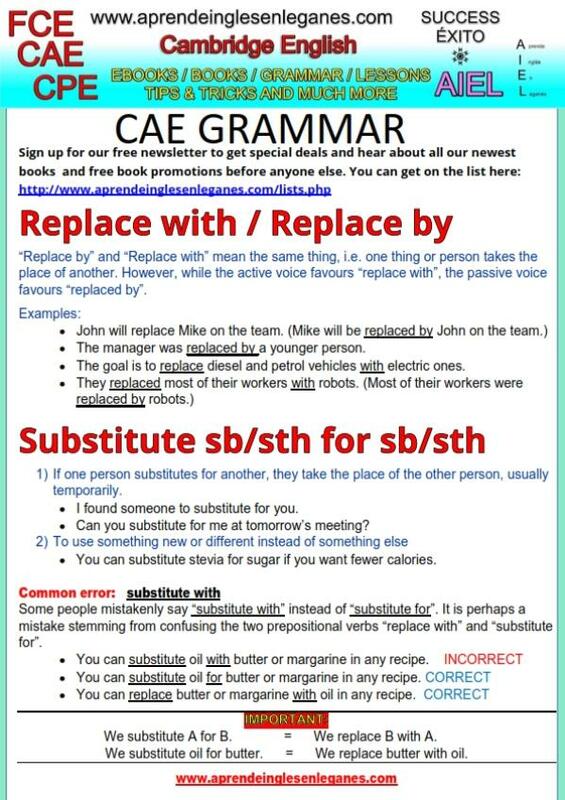 The verbs "replace" and "substitute" can cause confusion in people. Although these two verbs refer to the same process, they are not interchangeable. Have a look at the grammar sheet below to learn when and how to use them. You can download this grammar sheet in PDF format by clicking on the PDF icon below.